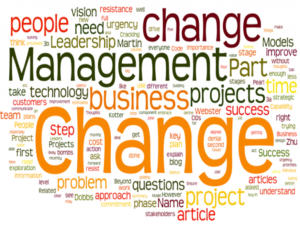 How do you implement change throughout the organization? Today’s business environment is a testament to more constant and more rapid rates of change. Rather the change is a small one, like training employees on a new company-wide system, or a much bigger one such as implementing an exit strategy, the success or failure depends upon how well you manage and execute the change. Good change management training is essential for supporting leaders and managers to effectively drive change throughout your organization. People naturally resist change. People become comfortable and complacent when in a day-to-day routine. As human beings we tend to be averse to change and, in a world which that is increasingly changing at an alarming rate, people can be skeptical and resistant to anything that threatens the status quo of their working lives. Due to this human nature, implementing change and transformation throughout the organization has to be done carefully, sensitively and collaboratively. Managing people through change training courses equips leaders and managers with the essential skills to seamlessly implement change within their organizations. When developing your strategy, make sure your plan includes these four requirements.